Written By: Lieutenant Colonel Paul Fardink, USA-Ret. History affords the unique perspective of offering clarity through retrospection. 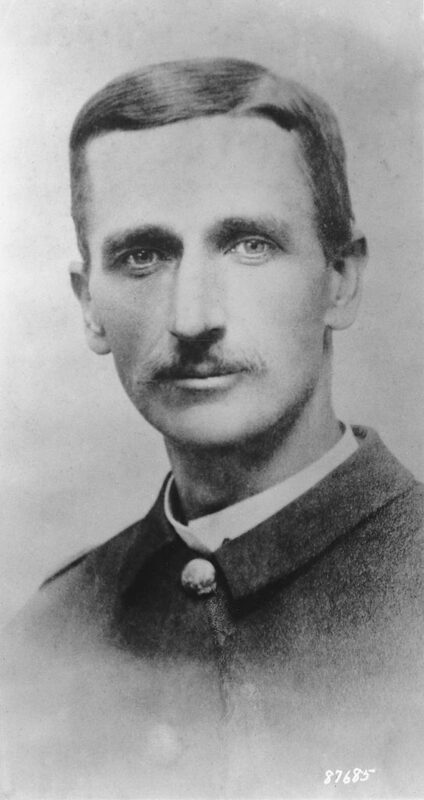 Even though Lieutenant Charles B. Gatewood, using mutual respect and negotiation—not bullets and bravado—potentially saved the lives of countless cavalrymen, settlers, Native Americans, and Mexicans by ensuring Geronimo’s surrender in 1886 after years of contentious and bloody Indian wars, he was continually overlooked for promotion and denied a much-deserved Medal of Honor, awarded for personal acts of exceptional courage and valor—literally defined as “strength of mind in regard to danger.” Few would argue that standing face to face on a hot August day in Mexico with a justifiably enraged Geronimo and the son of Cochise took that strength of mind. Nevertheless, when Gatewood achieved a peaceful resolution to years of hard fighting, he displayed an uncommon valor worthy of our nation’s highest honor. The single opponent to his nomination argued that since Gatewood had not come under enemy fire during this event, he was unworthy of the award. However, history should accurately reflect the true impact of this quiet man who changed the face of the Southwest, using words and not weapons. Born in Woodstock, Virginia, on 6 April 1853 as the oldest son of newspaper editor John Gatewood and his wife Emily, Charles Bare Gatewood had a normal if not exceptional early childhood. This, however, would all change after epochal events in the United States would lead him toward a career in the military. When the Civil War erupted in 1861, eight-year old Charles saw his father march off to fight for the South. When John Gatewood returned, he moved his family to Harrisonburg, Virginia, where he opened a print shop and edited the Commonwealth, a local newspaper. Charles would finish his education there and later briefly teach school before receiving an appointment to the U.S. Military Academy (USMA) at West Point in 1873 from Representative John T. Harris, M.C., of Harrisonburg. Graduating with the West Point Class of 1877 on 14 June 1877, Gatewood was ranked twenty-third out of a class of seventy-six. The five-foot-eleven-inch Virginian was commissioned a second lieutenant in the 6th U.S. Cavalry. Henry Ossian Flipper, the first black graduate of USMA, was also a member of this class, as well as Thomas Henry Barry, the twenty-seventh Superintendent of USMA (1910-1912). The great majority of this notable class would see duty on the frontier and participation in the Indian Wars, with twenty-six reaching the rank of colonel, five brigadier general, and five major general. Gatewood, however, appeared destined to be overlooked continually for promotion. By the time Major General George Crook (USMA 1852) assumed command of the Department of Arizona in July 1882, Lieutenant Gatewood had become one of the Army’s premier “Apache men.” He had become familiar with the Arizona Territory and commanded Apache scout units almost constantly since his arrival in the Southwest in January 1878. He had also taken part in the U.S. Army’s campaign against Apache chief Victorio in 1879-80. Gatewood’s life depended upon the scouts under his command accepting and obeying his orders at all times. Crook recognized Gatewood’s detailed knowledge of the Apaches and their customs. Because of this, in 1882, he appointed Gatewood as the military commandant of the White Mountain Indian Reservation, headquartered at Fort Apache, Arizona Territory. Gatewood’s inherent honesty of character, fairness, and respect for Apaches allowed him to excel in this assignment. Officers who drew Apache duty found it to be very demanding. Patrols often lasted for months. The harsh rigors of living in the field and the continued exposure to extreme weather and inhospitable terrain had consequences. As early as 1881, doctors reported that Gatewood “had rheumatism of knee, ankle, hip and shoulder, the result of exposure in line of duty in Arizona.” Gatewood’s declining health would plague him throughout his career. Displaying incredible skill and bravery, Gatewood and five others followed the Apaches and caught up with them on 25 August 1886 at a bend in the Bavispe River in the Teres Mountains in Mexico. Suddenly, however, the Apaches vanished. 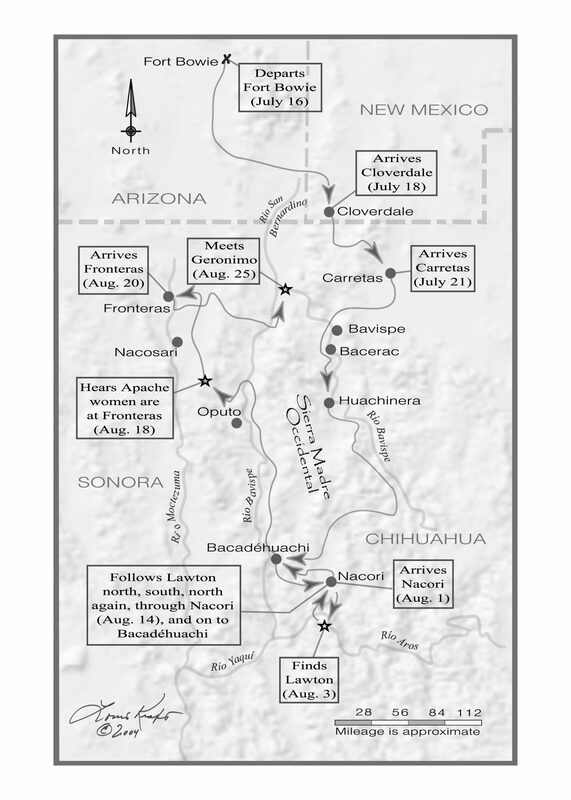 Several tense minutes passed before thirty-five or forty Chiricahua Apaches, including many heavily armed warriors, exploded out of the brush. Gatewood did not notice Geronimo among them but welcomed the Apaches cordially, removed his weapons, and passed out tobacco and paper. Everyone rolled cigarettes and smoked. 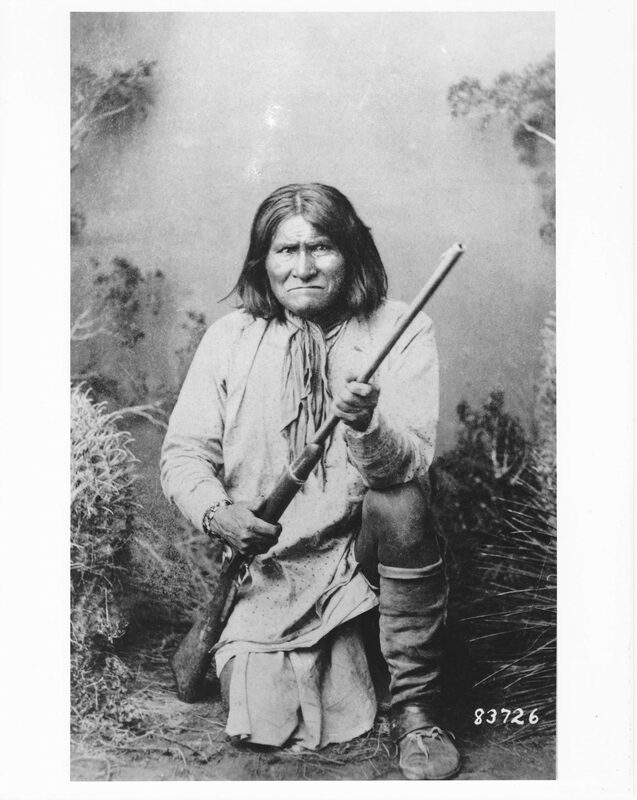 An angry Geronimo stared at Gatewood. After talking about a few other less profound issues, he spoke of all the bad that both countries, the United States and Mexico, had done to his people. 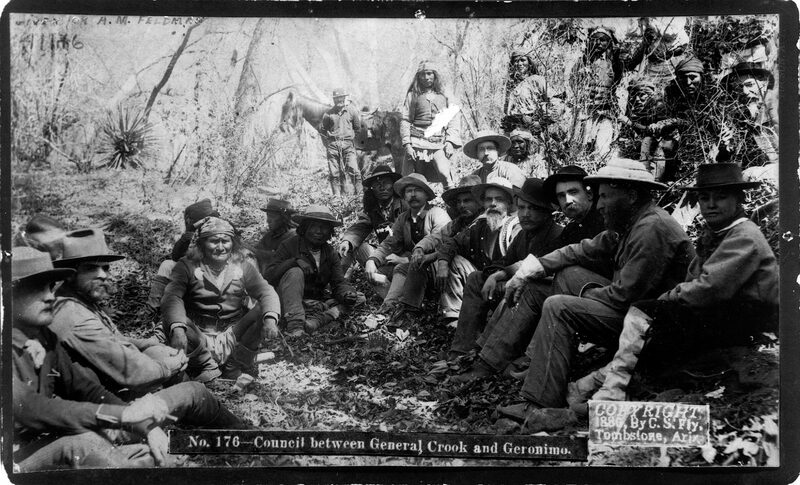 Warrior tempers erupted, and the group of Apaches moved away from Gatewood so they could discuss the possible surrender. 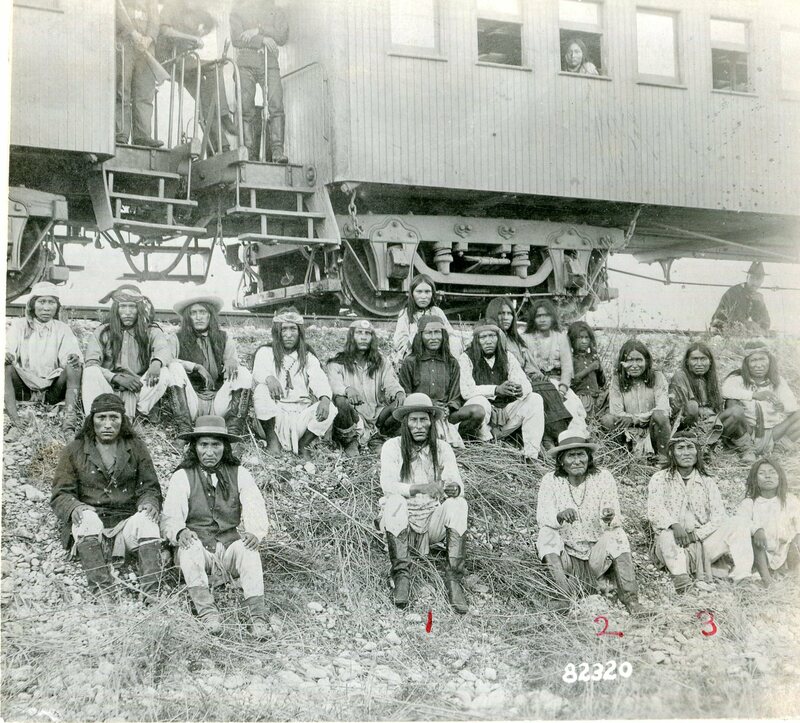 An hour later, they returned with Geronimo demanding terms similar to those offered in the past: “Take us to the reservation or fight.” Gatewood, however, could not do this. The atmosphere again turned tense, but before anything happened, Chief Naiche spoke up, saying Gatewood would not be harmed. Breathing easier, Gatewood gambled and said that the remaining Chiricahuas in Arizona had been sent to Florida. Although untrue, he knew it would happen. An irate Geronimo and the Apaches spoke again between themselves. Nothing changed—they demanded a return to the reservation or they would fight. Danger loomed, but Gatewood kept his composure. Eventually Geronimo asked Gatewood what he would do. When Gatewood replied that he would accept Miles’s terms, Geronimo said he would announce their decision in the morning. 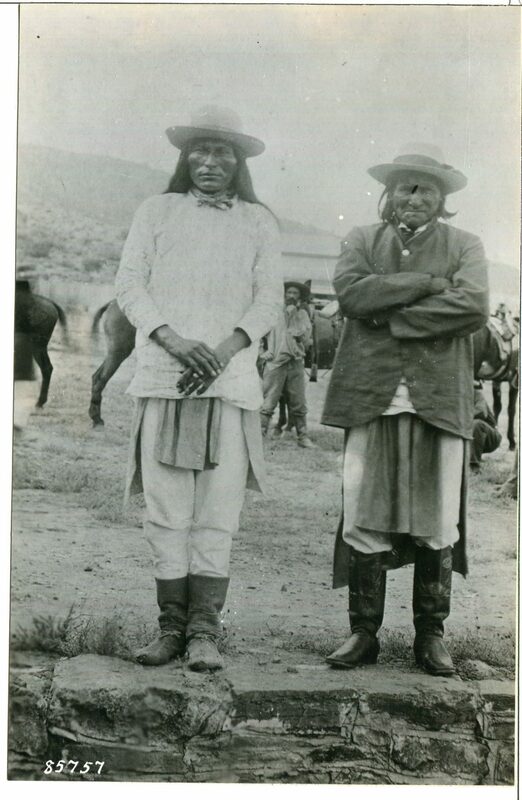 The next day, after Geronimo and Naiche agreed to return to the United States, Gatewood, realizing that his knowledge of the Apaches—especially the White Mountain Apaches—was unique, wrote a letter to his wife declaring that it was time for him to begin working on a memoir. Because of this, not only did he record Apache oral history before it became known as “oral history,” he documented arguably one of the most spectacular feats of the Indian Wars—meeting Naiche and Geronimo in Sonora, Mexico, talking them into surrendering, and getting them safely back to the States even though some within the Mexican and U.S. 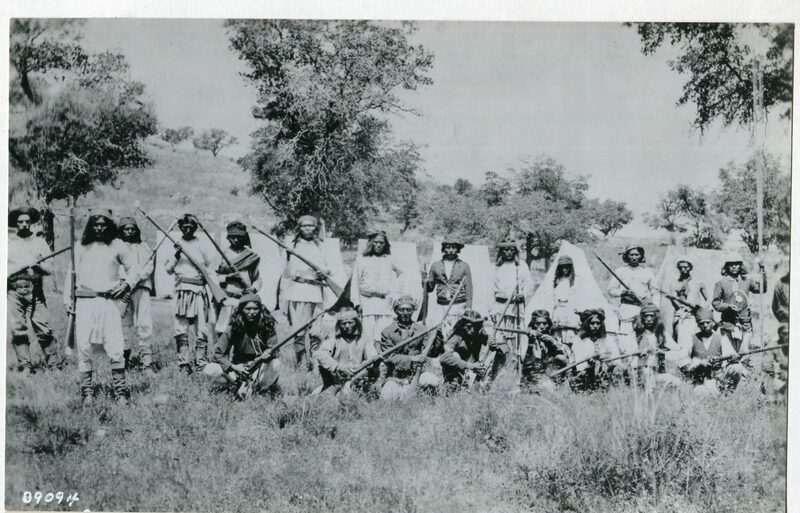 Armies wanted the famed Apache leaders dead. As 1886 ended, Gatewood’s health once again began to fail. He had never recovered from the hardships suffered while in Mexico and the southwestern United States. As a result, the Army granted him an extended leave of absence. In May 1887, he returned to Miles’s headquarters (then in Los Angeles), where he served as aide-de-camp. In the fall of 1890, he re-joined the 6th U.S. Cavalry and was assigned to H Troop. On 18 May 1892, a band of small ranchers and rustlers became enraged at the gunmen hired by the larger rancher owners in Johnson County, Wyoming. They set fire to the buildings at Fort McKinney, Wyoming, where the Army had confined a local cattle baron’s hired killers. The fire spread, threatening to destroy the entire post. Gatewood joined a small group of volunteers as they hurriedly placed cans of gunpowder in the burning buildings. The plan was to blow up the structures already engulfed in flames to save the remaining buildings. Suddenly, some burning rafters parted, fell, and prematurely detonated a can of powder. Gatewood was blown violently against the side of a building and badly injured. 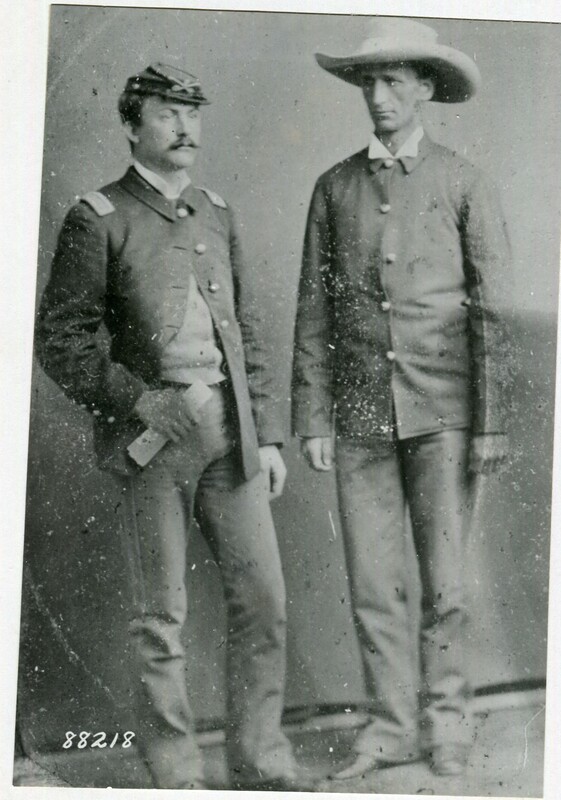 Gatewood took a physical examination at Fort Custer, Montana, on 3 October 1892, with the following diagnosis: “Lieutenant Gatewood has suffered intermittently with articular rheumatism during the past twelve years. At present it exists in a sub acute form, and affects chiefly the right shoulder and hip. When combined with his injury from the explosion, which rendered his left arm almost completely disabled, the result was a foregone conclusion: Permanently disqualified physically to perform the duties of a captain of cavalry, and that his disability occurred in the line of duty.” Gatewood expected to be retired from the service but instead found himself remaining on the active duty roles as a member of the 6th Cavalry. Nevertheless, he was often on extended leaves of absence as the rapid deterioration of his health continued. On 2 May 1895, Captain Augustus P. Blocksom recommended Lieutenant Gatewood for the Medal of Honor. It was endorsed by the commanding officer of the 6th Cavalry, Colonel D.B. Gordon, and the Commanding General of the Army, General Nelson A. Miles, but disapproved by Joseph B. Doe, Acting Secretary of War, on 24 June 1895 because Gatewood did not come under hostile fire during his pursuit of Geronimo and his band of Apaches. Gatewood had displayed extreme bravery. His services were extensive and, in fact, indispensable. Nevertheless, four Medals of Honor had been given to others during the efforts to capture Geronimo, but not to the one man instrumental in achieving the surrender. The news greatly disappointed Gatewood. He spent the last year of his life nursing his ill health. The Army did, however, allow him to remain on the payroll instead of forcing him to retire. His health, however, continued to deteriorate, and he entered the hospital at Fort Monroe, Virginia, on 11 May 1896. On 20 May, he died from a malignant tumor in his liver. At the time of his death, he was forty-three years old and the senior lieutenant of his regiment, having never achieved the rank of captain after nineteen years service. Gatewood’s wife, Georgia, did not have enough money to bury her husband, so the Army arranged for burial in Arlington National Cemetery. Georgia survived the next twenty-four years on a pension of $17 a month she received from the government. She eventually moved to California to live with her son, “Charlie Junior,” born on 4 January 1883, at Fort Apache, Arizona Territory. Charles B. Gatewood, Jr., was thirteen years old when his father died in 1896. 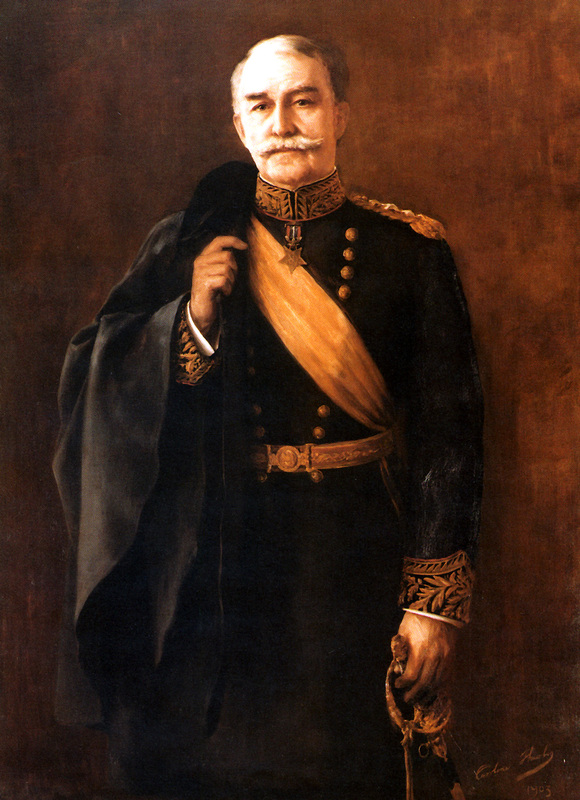 He would later graduate from West Point with the Class of 1906 and retire as a colonel after thirty years service. Charles, Jr., launched a lifelong crusade to establish as record his father’s impact on the history of the Indian Wars. His fastidious and continuous effort to document his father’s participation in the last Apache war is now housed at the Arizona Historical Society in Tucson. Lieutenant Gatewood’s son laid the groundwork for authors such as Louis Kraft (quoted extensively in the second half of this article) to discover his father’s life and contributions. One might wonder how such an instrumental figure in America’s westward expansion such as Lieutenant Charles Gatewood could have escaped acclaim and, at minimum, placement in archives of those most interested in the all-important period of our country’s history following the Civil War. Thanks to Gatewood’s own proclivity for language and his desire to record the oral history of the Apaches—not to mention the dedication of his son, Charles, Jr., to preserving the legacy of his late father—future writers of note, such as acclaimed author and historian Louis Kraft, would become interested in the life of Lieutenant Gatewood, whose story attracts compassion and spurs that uniquely American desire to help the underdog—or those apparently treated unfairly—in the annals of history. In a recent discussion with Kraft, much of the background surrounding the “Gatewood Enigma” became clear. To be sure, it is a story rife jealously and ambition—none of which appear to have emanated from Gatewood himself but from those close to him and envious of his accomplishments. Fortunately, Gatewood’s memories of the Apaches are as special as his achievements, as evident in a number of chapters he drafted for a book he planned to complete. Sadly, his premature death at age forty-three prevented him from finishing the project. Kraft generously offered to discuss how his personal interest in Gatewood turned into a quest to set the record straight. Just before Kraft’s first book on the Apache Wars, Gatewood & Geronimo (University of New Mexico Press, 2000), moved toward publication, he realized how much of Gatewood’s experiences among the Apaches would not be told because of page limitations. Gatewood’s words would then remain in obscurity for another year until Kraft decided to contact the Arizona Historical Society to ask for permission to compile Gatewood’s notes into a readable manuscript. He then pieced together and edited the lieutenant’s writing, which became Lt. Charles Gatewood & His Apache Wars Memoir (University of Nebraska Press, 2005), resulting in a major reference for both researchers and historians. Kraft has also written extensively about cavalry operations in the American West, including a book on George Armstrong Custer. Few author/historians are as qualified as Kraft to assess the level of bravery inherent in Gatewood’s actions when confronting Geronimo. As for Gatewood’s lack of fame, Kraft stated that “people wonder why history has forgotten this man. General Nelson Miles is the major culprit here, as he did everything possible to ensure that his command, the 4th U.S. Cavalry, got all the credit for the capture of Geronimo and the last of the warring Apaches—about thirty-eight people, including warriors, women, and children. Gatewood belonged to the 6th U.S. Cavalry, Crook’s regiment at the time. Crook had previously turned his back on Gatewood when the lieutenant refused to drop charges against a territorial judge for defrauding the White Mountain Apaches and had no intention of supporting Gatewood when Miles attempted to remove his name from the surrender of the Apaches.